CleverPrint is a useful application that will help you to improve the management of your printouts, to be able to control every single detail of the documents so that we save money and time when printing them. As everybody knows, printer ink isn't at all cheap, in fact it is considered the most expensive liquid in the world, and that is why the best idea is to economize the printouts that you carry out. CleverPrint extends the printing options and offers us many possibilities. 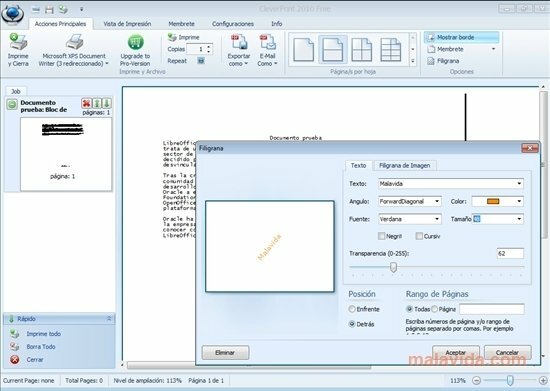 - To print multiple pages on a single one. 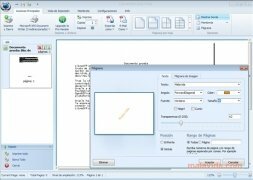 - Easily eliminate the pages that you don't want to print. 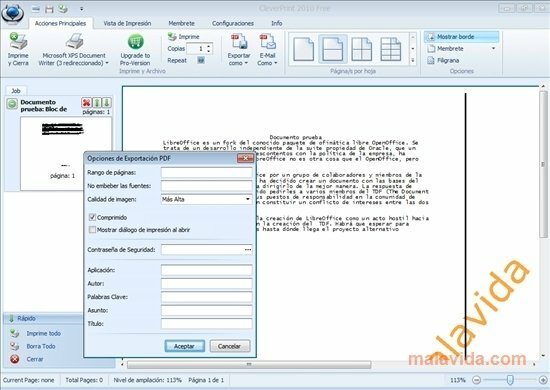 - Allows you to print from any application, with the possibility to combine files from different applications in a single printout. 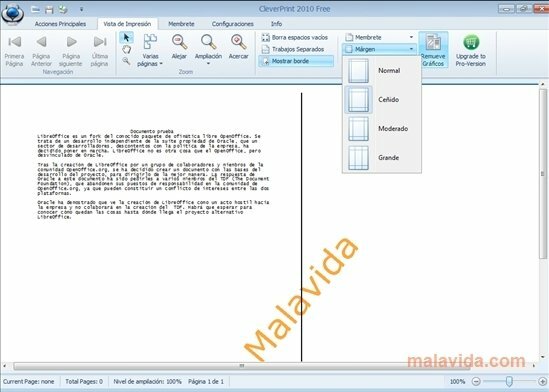 - Exact preview of how it is going to print the document. - Allows you to eliminate the graphic information of the documents to save costs. CleverPrint also allows you to insert watermarks, texts and images in the documents, export the documents as PDF documents or different image formats, or to send the files by email. You will also be able to manage your printing queue by means of CleverPrint and distribute the printouts between several printers. If you don't want to waste ink, and you don't want to have any surprises during the printing process, try out CleverPrint and control everything you print. The trial version of the application lasts for 10 days.